Disney was left with little choice as no matter what they decided to do with President Trump and the Hall of Presidents, they would upset someone in this toxic political atmosphere. Hopefully, they can launch the updated Hall of Presidents with little controversy (Trump still has to record his audio and Disney accept) and people will either enjoy the attraction or decide not to attend. Here is the official statement from Disney. Whenever we refurbish one of our attractions, we take the opportunity to consider a broad range of enhancements. In this case, The Hall of Presidents is getting a new show, and a complete theater upgrade including a new sound system, lighting and high-definition projection system. The multi-screen viewing experience you may have seen in prior versions of the attraction is returning with an even wider vantage point of our country’s history.Since the Magic Kingdom Park opened in 1971, The Hall of Presidents has brought together a one-of-a-kind look at the office of the President of the United States through film and the magic of Disney’s Audio-Animatronics technology. Despite some media reports to the contrary, President Trump will have a speaking role in The Hall of Presidents, like every president since 1993. We have been working closely with the current White House — just as we have with previous administrations — and the president’s recording session has been scheduled. The attraction will re-open in late 2017. Whenever we refurbish one of our attractions, we take the opportunity to consider a broad range of enhancements. In this case, The Hall of Presidents is getting a new show, and a complete theater upgrade including a new sound system, lighting and high-definition projection system. The multi-screen viewing experience you may have seen in prior versions of the attraction is returning with an even wider vantage point of our country’s history. “The same thing that we’ve done with other presidents, is the same plan we have for President Trump,” said Jacquee Wahler, vice president of communications. “We’re hopeful that, at least by the first anniversary of his election, he’ll be there with the 44 other presidents that preceded him,” Bob Iger said. The attraction closed early this year before the inauguration and was expected to re-open early summer. However, it seems that the negotiations to agree to the Presidents role took a little longer. Disney has tried to stay out of the social media spotlight with their decision as they don’t seem to be able to please fans on either side of this political atmosphere. Ideally Disney executives would like to stay out of the Presidents twitter feed. Disney is now saying it will re-open late 2017, we will have to wait and see if that happens. Maybe Disney buying themselves more time to finalize their decision by waiting a bit longer. I would imagine they would want some of the political climate to blow over before re-opening the Hall of Presidents. The Hall of Presidents is under a refurbishment to add the 45th President Donald Trump and is expected to be unavailable to visitors for at least most of the summer. 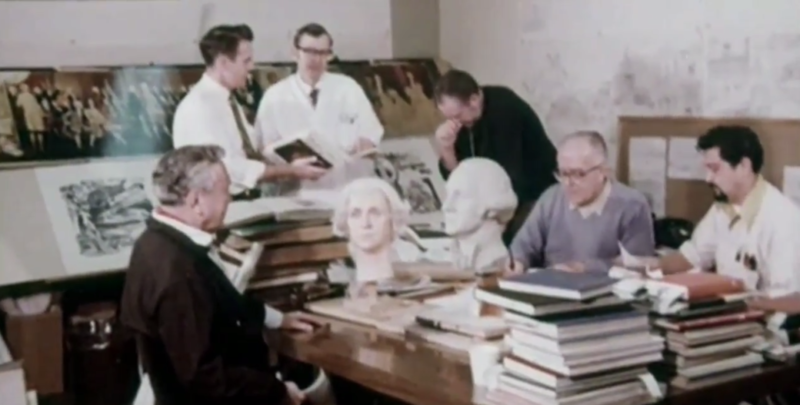 We thought it would be a good time to share this rare footage of Imagineers creating the Hall of Presidents. Amazing that this project was started over forty years ago and still remains today. History does stand the test of time. Rarely seen footage of WED employees (Imagineers today) at work building Walt Disney World is a real treat. That is just what you’ll find in this incredible video of WED at work building the Hall of Presidents filmed on 02/16/71 for the opening of Walt Disney World brought to you by DisneyAvenue.com. Keep an eye out for legendary Imagineers like Herb Ryman, Harriett Burns and more. Enjoy! Ring in the occasion on July 3 and July 4, 2017 with a thrilling spectacular exploding with patriotic color and light. Taking place at Magic Kingdom park, it’s Disney’s Celebrate America! – A Fourth of July Concert in the Sky! 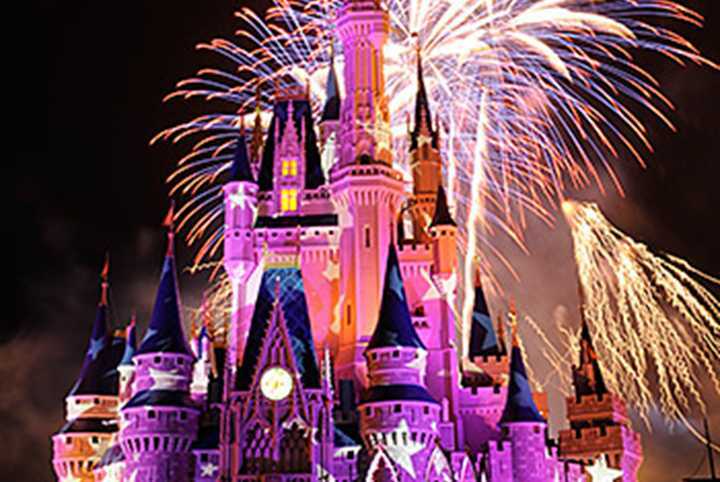 Watch in wonder as blazing fireworks ignite and fantastic effects light up the sky above Cinderella Castle—all while a magnificent musical score surrounds you with the reverberations of triumph and joy. Don’t miss out on the majesty when this lively tribute to the Stars and Stripes takes flight in an evening performance you won’t soon forget! See a new side of IllumiNations: Reflections of Earth during a special Fourth of July showcase. July 4, 2017, enjoy an enhanced take on this iconic Epcot experience featuring a stunning fireworks display that celebrates the planet’s past, present and future—along with something spectacular planned to highlight Independence Day! Be sure to stick around ‘til the very end of the show to see IllumiNations: Reflections of Earth culminate in its own one-of-a-kind tribute to the Red, White and Blue. You can also watch Rivers of Light at Animal Kingdom with two shows nightly at 9:15pm and 10:30pm and Star Wars: A Galatic Spectacular at Hollywood Studios nightly at 9:30pm. Nothing says “happy birthday, America” quite like a delicious cookout! Feast on festive fare at Disney’s Grand Floridian Resort & Spa and settle in for a fantastic view of the fireworks show happening at Magic Kingdom park on July 3 and July 4, 2017. For more information and reservations, please call (407) WDW-DINE or (407) 939-3463. Today is the day you can book Disney Vacation Club Moonlight Magic at Disney’s Animal Kingdom Theme Park. This is a special event for Disney Vacation Club Members only and should be a great time for those guests. Here is more information from the DVC website. Embark on adventure in a theme park inspired by nature. During this complimentary, after-hours event, you can enjoy a wild DJ dance party, light refreshments, memorable encounters with Disney Characters and a presentation of the park’s awe-inspiring Rivers of Light show. Plus, enjoy access to some favorite attractions, including Kilimanjaro Safaris, DINOSAUR and Expedition Everest – Legend of the Forbidden Mountain… as well as immersive attractions in the all-new land of Pandora – The World of Avatar! Note: Kilimanjaro Safaris will close at 11:00 PM to allow the animals to get their rest. Some of the park’s other most popular attractions may close early due to capacity, so please plan accordingly. Members with Disney Resort hotel reservations during the event can book online beginning Tuesday, June 27, 2017 at 9:00 AM Eastern Time. Event reservations open to all Members on Friday, June 30, 2017 at 9:00 AM Eastern Time. Note: Reservations are subject to availability. Disney World will be adding two more locations to their mobile ordering for quick service locations. Animal Kingdom will get their fourth mobile ordering option at Restaurantosaurus on June 27 and at Disney Springs D-Luxe Burger will go live soon on July 5. Disney continues the expansion of using their mobile app, My Disney Experience, to allow customers the option to pre-plan their meals, pay in advance, and wait less in lines. Instead of waiting in line, you can save time by ordering from wherever you are—imagine the convenience of reviewing the menu and making your selections while you’re waiting for an attraction. When you arrive at the restaurant, open the app, tap on the image of your character and press the “I’m Here, Prepare My Order” button. This lets us know you’re here, so we can start your order. 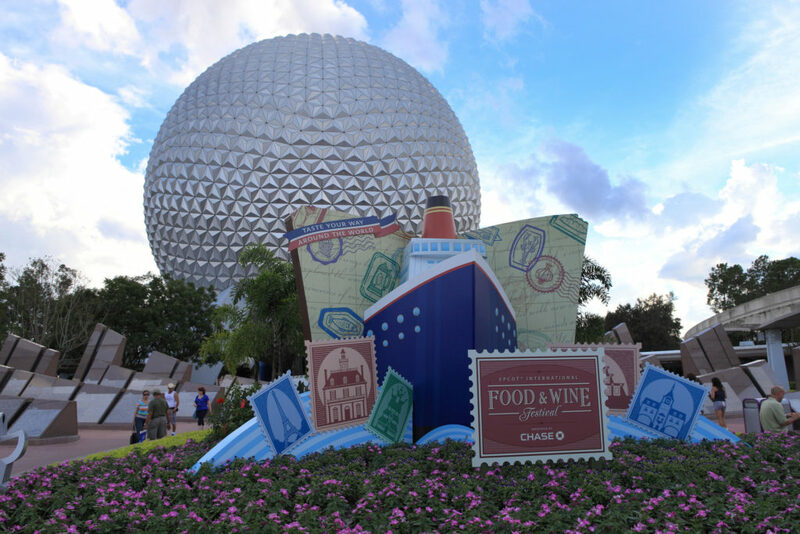 The app has been adding more mobile ordering options throughout the Disney World parks. We assume that it should be coming to more resorts quick service soon. This would allow resorts to offer more space to eat as well as guests a more enjoyable experience by waiting less in line on vacation.